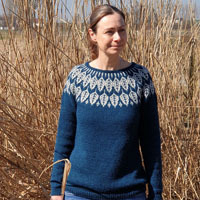 Go to original pattern for design DROPS 182-2. 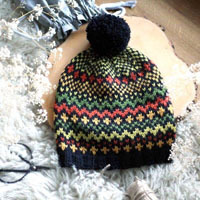 Set consists of: Hat and neck warmer with fan pattern, worked top down. 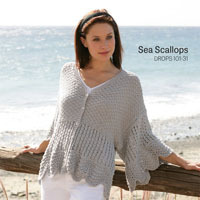 Set is crocheted in DROPS Merino Extra Fine. DROPS CROCHET HOOK SIZE 4 mm - or size needed to get 20 treble crochets x 10 rows = 10 cm in width and 10 cm vertically. Diagram A.1 measures approx. 4 cm in width. Work 1 treble crochet around 1 treble crochet on previous row (i.e. 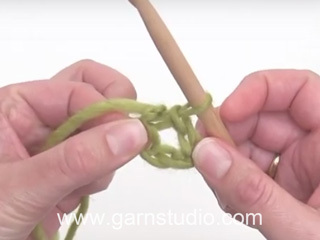 do not work in loops but around treble crochet) as follows: 1 yarn over (same way as working 1 regular treble crochet), insert hook between the one worked and the one to be worked around, and up between the one to be worked around and next treble crochet (i.e. 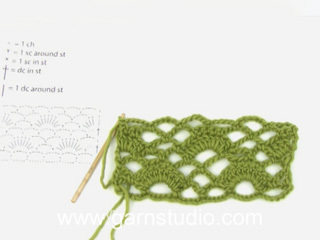 between 2 treble crochet and around treble crochet), get the yarn, work the rest of treble crochet as usual. Work in the round, top down. Begin on hook size 4 mm and Merino Extra Fine and work pattern according to diagram A.1b 6 times in total on round - diagram A.1a shows how rounds begin and end and is worked in addition to A.1b. REMEMBER THE CROCHET TENSION! 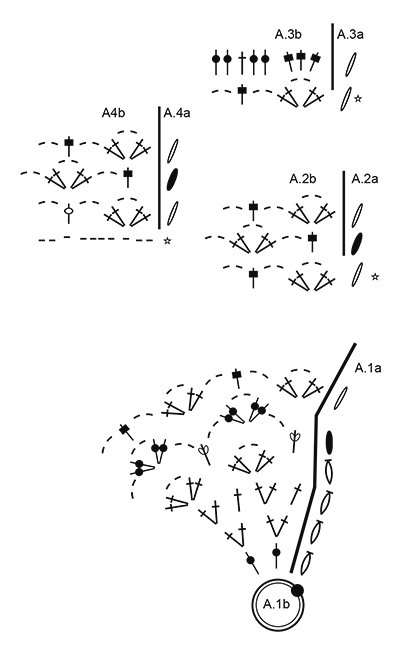 When A.1a and A.1b have been worked, work as follows: Work A.2b 12 times in total on round - diagram A.2a shows how rounds begin and end and is worked in addition to A.2b. Continue like this until piece measures approx. 20 cm. When A.2a and A.2b have been worked, work as follows: Work A.3b 12 times in total on round - diagram A.3a shows how rounds begin and end and is worked in addition to A.3b = 96 half treble crochets/treble crochets on round. Then work as follows: Work * 1 treble crochet, 1 RELIEF TREBLE CROCHET - see explanation above *, repeat from *-* the entire round. 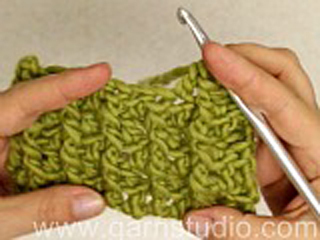 Continue like this, make sure that relief treble crochets are worked above each other vertically. Continue like this until piece measures approx. 24 cm. 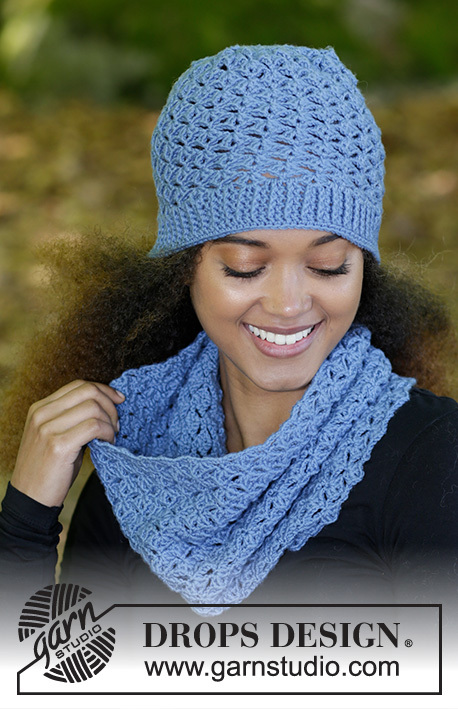 Work 1 round with 1 double crochet in every stitch, fasten off. 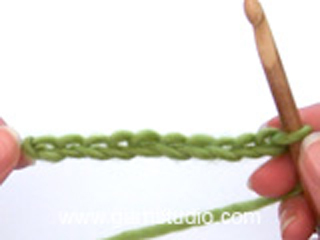 Work 180-200 chain stitches on hook size 4 mm with Merino Extra Fine and form a ring with 1 slip stitch in first chain stitch. Then work pattern according to diagram A.4b 18-20 times in total on round - diagram A.4a shows how rounds begin and end and is worked in addition to A.4b. REMEMBER THE CROCHET TENSION! When A.4a and A.4b have been worked vertically, repeat the last 2 rounds upwards until piece measures 25-28 cm. Fasten off. = this round has already been worked, begin on next round!